عنایتی, حمید. (1391). جنرالیزاسیون DTM کسب شده از لیدار به منظور استخراج شبکه راه ها. فصلنامه علمی- پژوهشی اطلاعات جغرافیایی « سپهر», 21(83), 86-90. حمید عنایتی. "جنرالیزاسیون DTM کسب شده از لیدار به منظور استخراج شبکه راه ها". 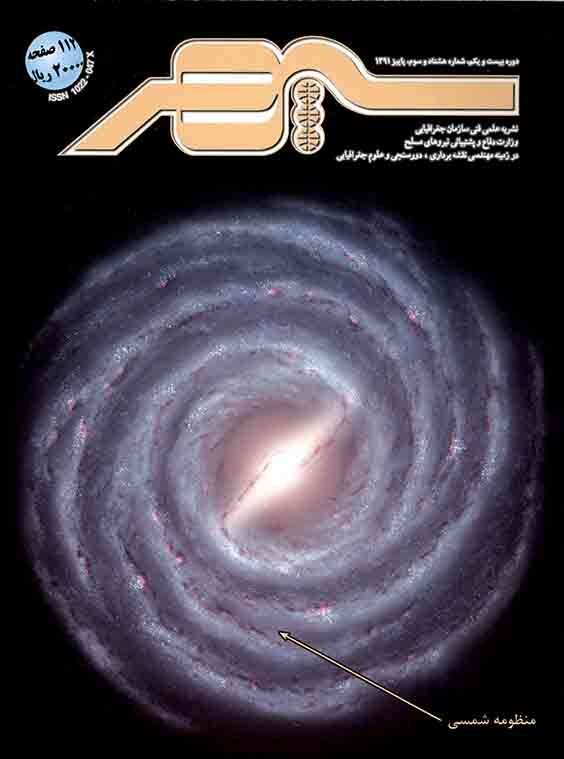 فصلنامه علمی- پژوهشی اطلاعات جغرافیایی « سپهر», 21, 83, 1391, 86-90. عنایتی, حمید. (1391). 'جنرالیزاسیون DTM کسب شده از لیدار به منظور استخراج شبکه راه ها', فصلنامه علمی- پژوهشی اطلاعات جغرافیایی « سپهر», 21(83), pp. 86-90. عنایتی, حمید. جنرالیزاسیون DTM کسب شده از لیدار به منظور استخراج شبکه راه ها. فصلنامه علمی- پژوهشی اطلاعات جغرافیایی « سپهر», 1391; 21(83): 86-90. هدف خلاصه‌سازی DTM کسب شده از روی داده‌هـای لیدار بمنظور جنرالیزاسیون (کاهش جزئیات) و همچنین تقویت عوارض مهم می‌باشد. جهت تجسم سطح زمین می‌بایستی به تقویت عوارض خاصی از قبیل خطوط راه‌ها و سدها پرداخت. این مقاله بدنبال یک الگوریتم جهت استخراج راه‌ها است. با الگوریتم خلاصه‌سازی می‌توان شبکه راه‌ها و ابر نقاط فیلتر شده مربوط به LIDAR را برآورد نمود. Summarizing DTM received from LIDAR data is performed to generalize (decrease details) and strengthen important features. In order to incarnate ground surface, we need to strengthen some especial features like routes and dames. The present article seeks to prepare an algorithm to extract routes. Using summarization algorithm, it is possible to estimate route network and LIDAR filtered cloud points. Abo-Akel, N., Zilberstein, O. & Doytsher, Y. 2004. A Robust Method Used with Orthogonal Polynomials and Road Network for Automatic Terrain Surface Extraction from LiDAR Data in Urban Areas. International Archives of Photogrammetry and Remote Sensing. 35(B3).Brunner, K., 2001. Kartengraphik am Bildschirm –Einschränkungen und Probleme. Kartographische Nachrichten. 5: 233-239. Cignoni, P., Montani, C. and Scopigno, R. 1998,. A comparison of mesh simplification algorithms. Computers & Graphics, (1) 22: 37-54. Garland, M., 1999. Multiresolution Modeling: Survey & Future Opportunities. Eurographics, 99’ State of the Art Reports. 111-131. Haunert, J.-H. and Sester, M., 2004: Using the Straight Skeleton for Generalisation in a Multiple Representation Environment. ICA Workshop on Generalisation and Multiple Representation, Leicester, 2004. Hake, G., Grünreich, D., Meng, L., 2002: Kartographie. 8th Ed., de Gruyter. Heckbert, P. & Garland, M., 1997. Survey of Polygonal Surface Simplification Algorithms, Technical report, School of Computer Science, Carnegie-Mellon University, Pittsburgh, Multiresolution Surface Modeling Course SIGGRAPH. Kremeike, K., 2004. Generalization of dense Digital Terrain Models while enhancing important objects. International Archives of Photogrammetry and Remote Sensing, 35(B4): 403-408. Lam, L., Lee, S.W., Suen, C.Y., 1992. Thinning methodologiesa comprehensive survey. IEEE Trans. on PAMI. 14(9): 869-885. Luebke, D., 2001. A Developer`s Survey of Polygonal Simplification Algorithms. IEEE Computer Graphics and Applications, 21(3) – 24: 24-35. Weibel, R., 1989. Konzepte und Experimente zur Automatisierung der Reliefgeneralisierung. Geoprocessing 15; Zürich, Dissertation, Universität Zürich. ISPRS WG III, 3/III/4, V/3 Workshop ‘Laser scanning 2005,” Enschede, the Netherlands, September 12-14, 2005.